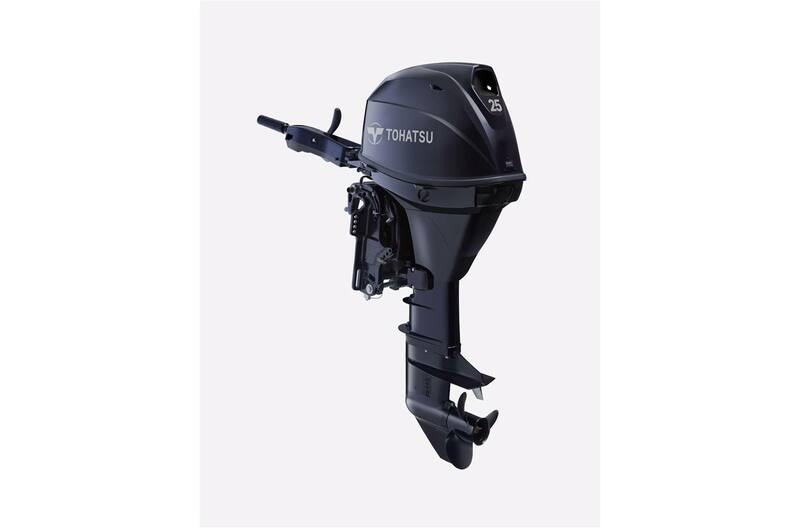 With Tohatsu's reputation for powerful speed and unmatched reliability, the Tohatsu 25 hp EFI 4-stroke will keep boaters loyal. The redesigned upper and lower motor cover features a more modern look, and easier access to regular maintenance items. The new multi-function tiller handle comes standard on all 25hp tiller models with electric start. This tiller includes all controls conveniently located on the handle for easy access giving you more control, better maneuverability and increased safety. Built-in freshwater flushing system: Standard built-in freshwater flushing system simplifies routine engine flushing.